Home news Why Should Governorship Candidate Remove Transformer Because He Lost? Why Should Governorship Candidate Remove Transformer Because He Lost? 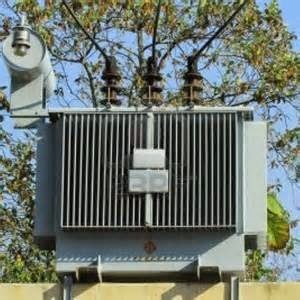 It was a shock find for the Sabo community in Ibadan, as they woke up in the morning only to see a Transformer donated to the community few days ago by the Peoples Democratic Party (PDP) governorship candidate, Senator Teslim Folarin, being carted away by some aides of the former Senate Leader. The PDP governorship candidate who came fourth in the Oyo State Gubernatorial election had reportedly conceded defeat on Saturday night apparently having seen the signals that the incoming polls result did not favour him. Daily Trust gathered that it was at this stage that Maiborno spiritedly made moves to effect the return of the transformer to Sabo community, but he was rebuffed as the Sabo community vowed not to take back the transformer from Senator Folarin. "DROP YOUR COMMENT BELOW "